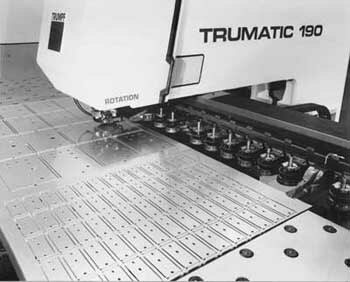 To make J & L Digital Precision, Inc. the only logical choice for precision metal fabrication. Offering the highest quality product at an affordable price. Offering design assistance and suggestions for manufacturing techniques that will lead to cost savings for our customers. Having an experienced professional staff who will strive to make doing business with us easy, precise, and successful. Earn the respect of our customers by conducting our business honestly, with integrity, and in the most competent manner, in order to produce the highest quality we can achieve. Become problem solvers by listening to and understanding our customers' needs; we can then follow through with cost effective solutions. Add value to our products because of our experienced and innovative processes. Take pride in our accomplishments, work ethics, and sense of expediency.